Better fly control at the barn starts with choosing the right repellent and using it correctly. If you’ve owned a horse for any length of time, you’ve no doubt used your share of fly spray. But do you know how to decipher active ingredients? Are you confident about choosing the most effective product for your horse’s needs? And perhaps most importantly, are you applying it correctly? Fly repellents may not be rocket science, but a great deal of scientific research goes into developing formulas, dosage and application rates. 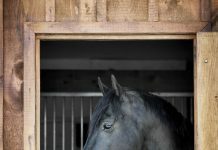 Read on for a quick lesson in fly sprays that will allow you to make informed choices and more effectively protect your horse. 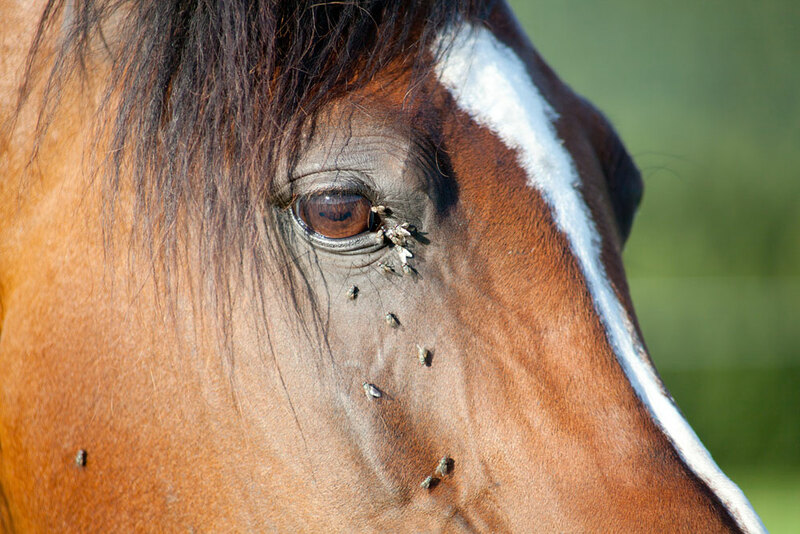 “When you see the number of diseases transmitted by flies and mosquitoes, you want to make sure you provide a level of protection you’re confident in,” says Amy Cairy, marketing manager of the equine division at W.F. Young, Inc., makers of Absorbine products. For example, if your horse is working regularly during warm months, he’ll be sweating, so you’ll want a water-resistant formula designed to work under those conditions. Do you need protection against mosquitoes? Make sure the product is also effective against these pests. 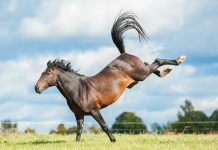 Is your horse on pasture where you can’t spray him every day? In those situations, you want a long-lasting product. Fly sprays are either made with a water or oil base. Some labels state this clearly, but if you aren’t sure, just look for the words “petroleum distillate” in the active ingredients listing. Those two words clearly tell you that it’s an oil-based product. “A manufacturer’s decision to use a water-based or oil-based solvent system depends on the active ingredients in the formula, because some ingredients are not soluble in water,” explains Casey White, an entomologist (scientist who focuses on insects) and director of product development at Farnam’s Research and Development facility in Dallas, Texas. White adds that the residual activity of some ingredients can be enhanced by using either water or oil, so that also plays a role in formulation. One advantage of oil-based fly sprays is that they quickly stick to the hair coat and provide rapid knockdown of pests. A disadvantage is that oil-based products tend to attract dust and dirt; they may also be irritating to the skin of sensitive horses. Water-based products tend to be less irritating and dirt won’t stick to them. But they break down easier under environmental conditions (sun, rain, sweat, et cetera), so if the product is water-based, it usually contains synergists, which are chemical agents that help active ingredients last longer and work more effectively. Commonly used synergists include piperonyl butoxide (PBO), butoxypolypropylene glycol, and N-octyl bicycloheptene dicarboximide (MGK 264). By law, every fly spray label must list the product’s active ingredients, which are registered with the Environmental Protection Agency (EPA). The section that lists “active” ingredients refers to those ingredients with insecticide (killing) and repellent properties. Active ingredients can be both natural and synthetic. Pyrethrins are one of the most common active natural ingredients and are derived from a species of chrysanthemum. Pyrethroids are synthetic forms of pyrethrins. The most common pyrethroids are permethrin, cypermethrin, tetramethrin and resmethrin. “Both pyrethrins and pyrethroids have a long track record for effectiveness and animal safety on horses,” says Cairy. Because synthetic active ingredients last longer than natural active ingredients, the most effective fly repellent products often feature a combination of both natural and synthetic active ingredients. Inactive ingredients make up the greatest percentage of any fly spray, and these don’t have to be listed individually. Depending on the product, this base may also contain coat conditioner and sunscreen. There are a variety of repellents on the market that use natural ingredients as opposed to chemicals. Those ingredients typically include essential oils such as citronella, geraniol, eucalyptus, thyme, cedar oil, lemongrass, rosemary oil, and others. Although quite effective for a short period of time, these ingredients break down more quickly than chemicals, so you’ll need to reapply a natural fly spray fairly often, usually after eight hours. Natural sprays don’t contain insecticides and are intended to repel insect pests, not kill them. They can be a useful choice during seasons when the fly population is not at its peak. Keep in mind that just because a product contains natural ingredients, some horses can still be sensitive. Any time you use a fly spray—natural or chemical—that you haven’t used before, you should spray a small test area on your horse’s body first. Wait a few hours and check to make sure there are no adverse reactions before you thoroughly spray his entire body with the label’s recommended amount of product. There’s a very good reason some fly sprays cost two or three times more than others. It all comes down to the level of active ingredients. Both White and Cairy recommend comparing the percentage of active ingredients on product labels in order to make an informed buying decision. Two fly sprays may contain the exact same active ingredients, but at significantly different levels. OK, ‘fess up. When was the last time you actually read the complete label on a bottle of fly spray? Taking a few minutes to do so is important, and following label directions can make all the difference in how well the product works. White finds that horse owners frequently under-apply fly spray and then complain that it doesn’t work well or last as long as expected. For example, the label on a product may state that it can last for 14 days. But for this to happen, you must apply it exactly as indicated in the directions. Let’s say the manufacturer’s label specifies applying 1 ounce of product. Short of measuring the fly spray each time, how can you determine how much you’re using? Cairy did a little investigating into this, actually spraying a product into a measuring cup and counting the sprays. It took about 45 sprays of the bottle to measure 1 ounce, which was the amount this particular label stated was needed to give the protection and efficacy claimed by the product. In addition to using the correct amount, the product must be applied properly in order to work as described. This means not spraying product onto a horse covered in dirt and loose hair. Take an extra minute or two to brush the horse before spraying. The closer the product is to the hair coat, the better the chance of getting even coverage that stays on the horse. 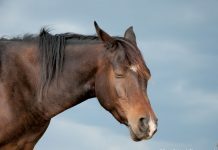 To avoid any chance of getting spray in the eyes, apply product to the horse’s face with a rag, or use a roll-on repellent. By reading the ingredient listings and directions carefully on the product before you purchase it and during use, you will get the results you paid for and expected. Spray smart and you and your horse can enjoy a (relatively) fly-free summer.